My personal project was all about examining the ways in children learn to read and read online and how they use technology to do so. 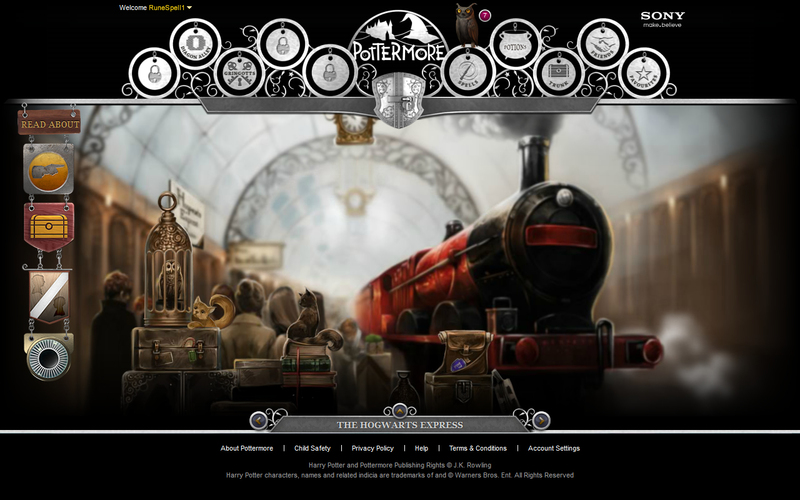 Reading nowadays is becoming more and more interactive by the second, the website Pottermore is a prime example of that (discussed in my blog). It is sites like Pottermore that got me interested in this topic in the first place. Interactive stories are fast becoming commonplace, children are now used to being able to get into and explore the story they are reading. Through my personal project I look to examine the different ways this is possible online and with technologies as well as delving into the effect technology and the internet have not only on story time but on how a child learns to read. To get the full benefit of the interactive ways in which children are learning today the child must first learn to read. That is where sites like Reading Eggs come in, they provide a fun, interactive, bright and encouraging environment through which the child can progress and improve their reading skills. The important thing to note about sites like Reading Eggs is that they are one-on-one exercises with the child and progress along at the child’s required pace. The child is encouraged to learn to read so they can explore and meet more and more of the world and the characters living within these worlds that are provided for the children by the site itself. To the child it feels like they are playing a game, and without realising they are learning one of the most important skills they will ever learn. There are other sites that provide a child with instruction on how to improve their reading, sites like the TumbleBookLibrary and Storyline Online provide the child with read along books that the child can just enjoy as a story by itself or as a tool for teaching timing, proper phrasing and how to use emotion or inflection when reading out loud. These sites have their own individual spins on the ways in which the story is read along, for example, Storyline Online has famous actors read the story along with the child, the TumbleBookLibrary gives the child the option of clicking on a word and having that word sounded out for them so they can try and read the story by themselves. Sites like Storyline Online, TumbleBookLibrary and Reading Eggs are important to children an they’re great for them. They provide a fun and most importantly encouraging environment for the child to practice their reading at their own pace and how they like to do it. For example, with the TumbleBookLibrary the child could choose to read the story all by themselves at first and just click on words if they need help with it or they can have the electronic voice read the book for them first and then give it a go themselves. The child is in complete control of he or she wants to learn to read. Technology is very fast becoming a very important when teaching children to read. It is very important to note that no technology could replace a teacher in a classroom but these tools are incredibly beneficial to both student and teacher for a number of reasons. In my blog entitled “Technology and Teaching Children to Read” I discuss the most important “building blocks” when it comes to a child learning to read and I then talk about the ways in which technology is used to enhance these building blocks. This is still a very small field, with not much research being conducted in the area. Hopefully, with the speed in which technology has development over the last few decades it won’t be long before every classroom has the type of technology that can really benefit a child when they are learning to read. Of course, technology and the internet isn’t just there for beginner or struggling readers, existing and avid readers can also take advantage of it to enhance their reading experience. Pottermore is the main example I use for this new type of transmedia storytelling. Through the Pottermore site the reader is among other things, able to explore the world they’ve read so much about and interact with other readers in ways they have only imagined. The reading experience has now become interactive. Not only can a reader literally explore the world they are reading about but Pottermore is also providing them with the ability to create parts of it themselves, through the whole idea of Fan Fiction. Readers are now encouraged to step out of that role and become the participators in the story they so dearly love. As expected, all this is not without its problems though. There is serious debate about what the future holds for the physical, traditional book. Will all this technology make the print world obsolete? As well as that threat, with sites like Pottermore and Storyline Online being offered for free to readers, how will big, online book retailers react? All of this and more is discussed in my blog and I really hope you enjoy reading it!